The Survivors Team at Thompsons are here to make the process of obtaining compensation for historic abuse as simple and straight forward as possible. We will begin your claim by discussing your specific circumstances with you and providing you with advice on how to best proceed with your case. All advice and proposed course of action provided by our team will be specific to your situation leaving you with the choice of how you wish to proceed. As specialists in this area of law, we understand that survivors can sometimes find talking about their past difficult and upsetting. We will listen to you, ensure you are ready to provide the information we require and work with you at your pace. We will start by obtaining information from you, which will include details on when the abuse happened and where the abuse took place. We can work with the details you are able to give us. If you do not feel able to provide us with all of the information, we will try to obtain this from other sources such as your social work records, the police or witnesses. We will check our extensive database of information with regards to the circumstances of your abuse to help provide any further supporting information available. Once we have gathered all the evidence in support of your claim we will confirm who the claim should be brought against; this may be more than one defender. You can be rest assured we will keep you updated throughout the investigation process. Once we know who the defender(s) is in your claim, we will begin the process of pursuing a civil claim, CICA application, or both. We will advise you on the best way to proceed depending on your circumstances. Our team will make every effort to have the defender(s) in a civil claim take responsibility for their wrongdoings and make you an offer to settle your case. Instances will arise when we cannot settle your case at an early stage due to the defender not willing to do so for a variety of reasons or they might make an offer of compensation that we feel does not fully compensate your claim and our recommendation is to reject the offer. 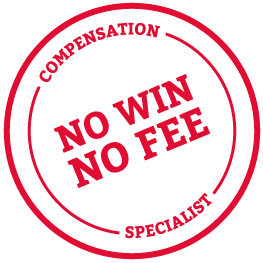 Any offer of compensation will be fully reviewed by our Survivors Team and discussed with you. If we feel the offer does not fully cover all aspects of your claim we will discuss the possibility of raising court proceedings with you. Any court process will be through our civil court system and will be very different to any experience you may have had in the criminal courts. If we do advise you to proceed on this basis and you are happy to do so, it is most likely that your case will settle at some point through the court process and before any court hearing. We cannot make any guarantees though about a case settling but can assure you that if a hearing (Proof) is required, we will request special measures are put in place to allow you to comfortably provide your evidence, should that be appropriate for you, and we will discuss all aspects of a hearing with you so that you are fully prepared and know what to expect. If your case is successful, you will be awarded compensation for your injuries (physical and mental) which have been caused by the abuse. You may have recovered now but many survivors will never fully recover. The full extent of your injuries will be taken into account when we assess the value of your case. Every case is different and your case will be valued depending on your specific situation. As such, it is impossible to provide advice as to what your case may be worth on a generic basis. The Survivors Team at Thompsons are currently assisting on a working party with the Law Society of Scotland to establish a protocol for dealing with cases involving historic abuse to ensure the process of doing so operates as smoothly as possible. Your privacy is of paramount importance to us. We have a unique procedure in place when dealing with claims relating to historical abuse to protect your information so far as we possibly can. If we are pursuing a civil claim against a defender on your behalf, this will initially be done on an anonymous basis and your personal information and details of your specific case will only be disclosed when we have confirmation that an appropriate person, such as an insurer or solicitor, is dealing with your case. If court proceedings are required, we will make a request to the court at the outset for your case details to be anonymised, should you wish us to do so. This will mean that your name will not appear on any court reports and your case cannot be reported on by the media in any way that will identify you. If you have any concerns about the way your information will be handled, please talk to us about this.